This event will feature a traditional ‘Welcome to Country’ by a local aboriginal elder. Includes dinner, live music and dancing. Cost: A$45 including admission and transport. 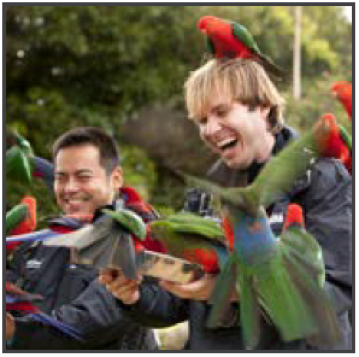 Nestled within 65 acres of lush eucalypt and pristine coastal rainforest, discover the pure serenity of nature and encounter more than 1000 animals including koalas, kangaroos, reptiles and magnificent birds of prey. Go on, you know you want to cuddle a koala. The nearby beach is easily accessible and the August weather and temperature is typically perfect for an afternoon stroll – 22C and sunny. Bring a hat.